It's not easy being a samples blogger since samples are the main priority here at this blog, and it didn't help that my unhealthy obsession with shower gels are literally spilling out of my regular storage spaces. It's not that I'm using it slow, but as the saying goes, a little goes a long way. Squeezing so much out for a short bath session just simply screamed "wastage", so a little is used. And at the same time, I kept stocking up on more shower gels that it definitely looked like I'm a really slow user. 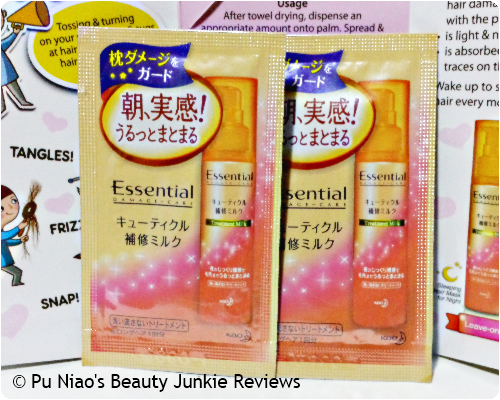 Previously, I did a Sponsored Review on a Peripera product and also got to know that the Watsons flagship store at Takashimaya are selling assorted Peripera products. 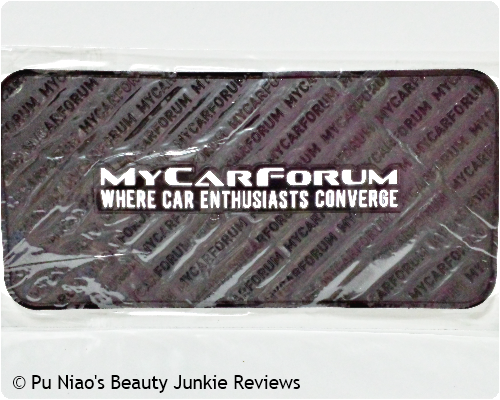 Hence I decided to go forth and check out what other Peripera products are on offer. Along the way, I got the Nivea Body Lotion In-Shower Skin Conditioner and a Veet Hair Removal Cream since my previous one is running low already. WHERE TO REDEEM SAMPLE: No samples up for grabs, but you can try and see the shade from the display items instead. E-cover was previously hosting a sampling giveaway and since I somehow missed out on the previous few due to the collection location, I decided to go for this one as I intended to go to Watsons Takashimaya for the Peripera products and Ion Orchard was one of the collection outlets listed. 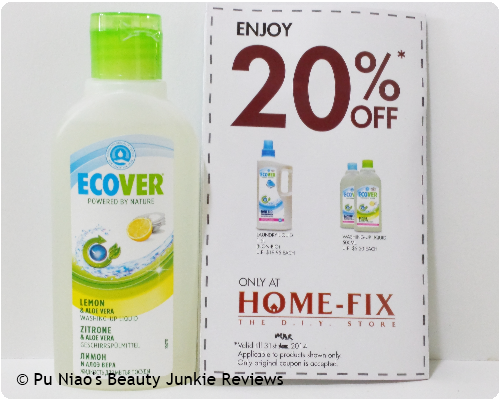 The sample I redeemed is a Ecover Lemon and Aloe Vera Washing-Up Liquid (100ml). Apparently, it stated that one squeeze is enough for a sink full of dirty dishes which I took it to meant 1 or 2 drops. 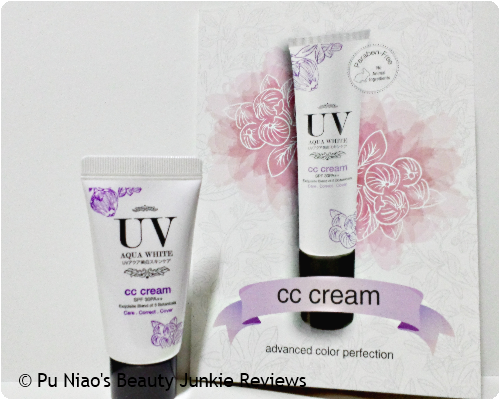 WHERE TO REDEEM SAMPLE: Sampling contest is over. After all, I only got to know about it a mere few days before the contest ended. But you can still go over to Vitamin.sg Facebook page at https://www.facebook.com/vitaminsg and Like their page as a fan to be informed of any upcoming contests and giveaways. 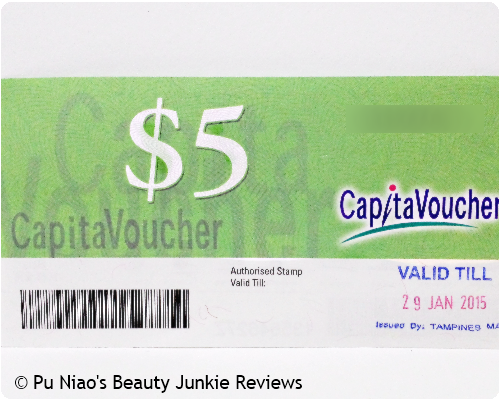 Pfizer previously had a survey where participants can receive a CapitaMall voucher. It's not the first time they did the survey and reward activity, but it's a little erratic on how often they do this since it's not tagged to any upcoming public holidays or whatsoever. WHERE TO REDEEM SAMPLE: Redemption is over. Although I would suggest to keep a close lookout under the Sponsored ads section, just under your FB requests and beside the statuses section. The Sample Store had some new Sponsored samples up for grabs, if I remembered correctly. But I tend to skip the ones such as toothpastes since I'm also a darn slow user of toothpastes. I probably have enough in my stash to last up to 2 or 3 years without having the need to buy one for now. 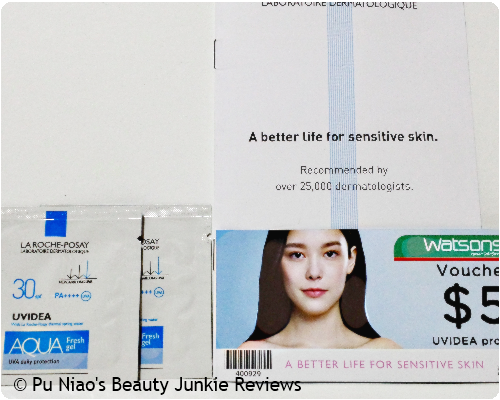 The sample I redeemed is the La Roche-Posay 30 SPF Aqua Fresh Gel, I received 2 sample sachets with each sachet at 2ml. 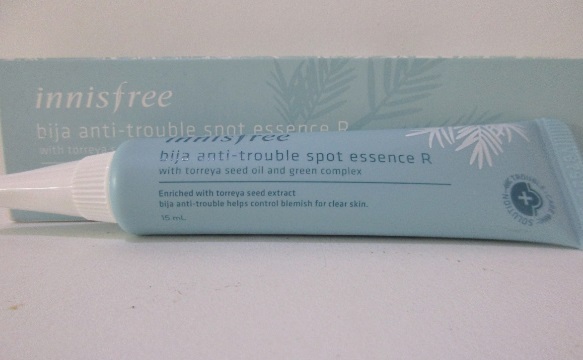 WHERE TO REDEEM SAMPLE: This sample has been fully redeemed. But my suggestion is this, check the "Sponsored Samples" tab over at The Sample Store website at least once or twice a week. As "Sponsored Samples" doesn't cost anything, not even postage fee to send out, certain samples get redeemed pretty fast before you know it. So, maybe a check around the middle and the end or start of the week to see if anything new is up for grabs. Frankly speaking, I can't recall where I got this sample from, but it could be from the "Sponsored Samples" tab over at The Sample Store website. 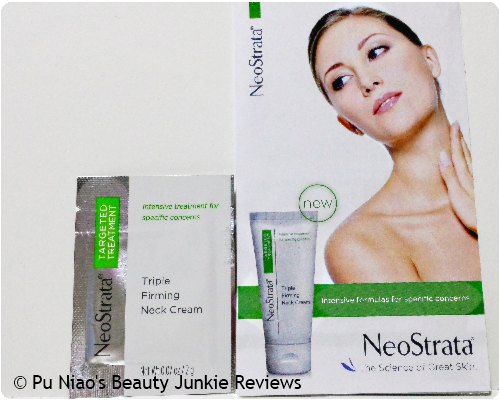 Anyway, the sample received is the NeoStrata Triple Firming Neck Cream, it's one sample sachet at 2g. 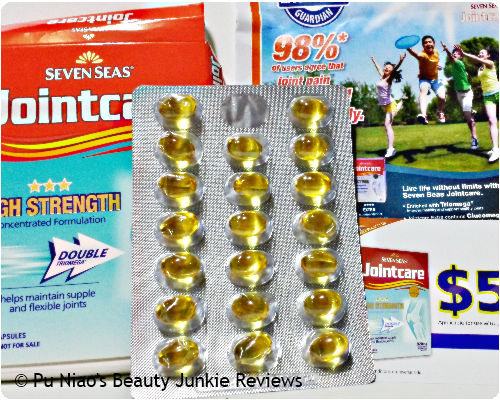 I got this Seven Seas Jointcare sample previously. 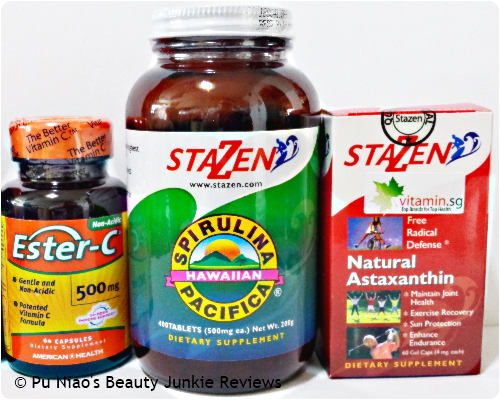 It supposedly helps maintain supple and flexible joints, and consists of 20 capsules. WHERE TO REDEEM SAMPLE: I'm not sure if the sampling activity is over, but you can still give it a try. Go over to JointCare R&R Facebook page at https://www.facebook.com/JointCareRnR and Like their page as a fan first. Next, look for the Like It Live It tab, after which you just need to click on the Redeem Sample tab in the page. Fill in your details and wait for the sample to arrive in your mailbox. The Sample Store previously had several Sponsored samples up for grabs, needless to say, I grabbed most of them since I was able to do so without restrictions. 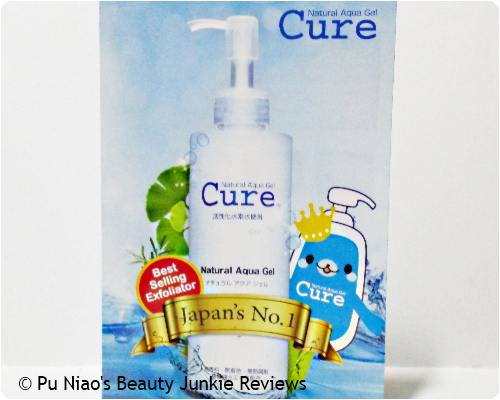 First up, the Cure Natural Aqua Gel sample is synonymous with exfoliating lovers out there. It's expensive, but natural. And did I mentioned that you have to use it fast after opening the bottle as it doesn't last long? This sample sachet is 3g in weight and can last enough for a one-time use if you were to use it not only on your face, but all over your body or whichever part of your body needs exfoliation. 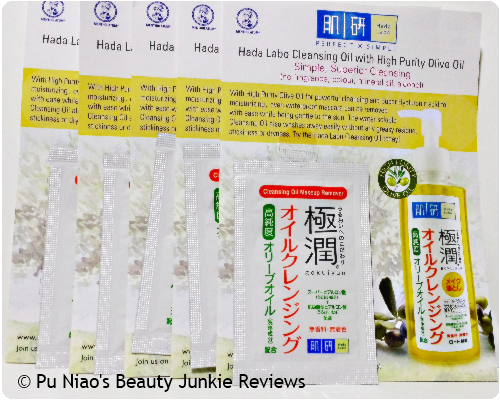 Hada Labo Cleansing Oil with High Purity Olive Oil, 5 sample sachets each weighing 3ml. 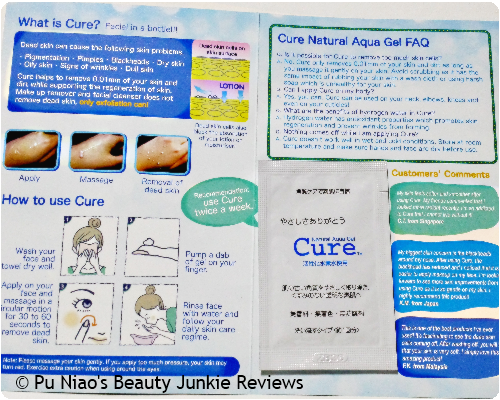 1 sample sachet is enough to clear off 1 or 2 days worth of full facial make-up, and because it is oil, you need not have to use too much in the first place. 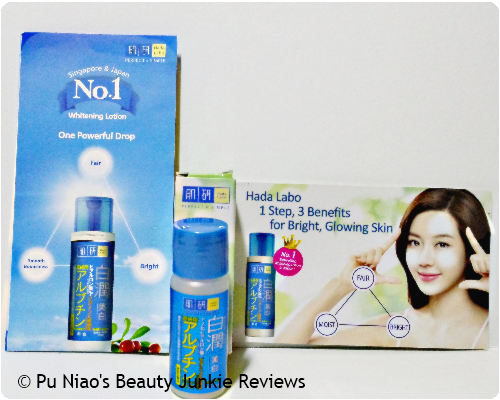 WHERE TO REDEEM SAMPLE: All these fore-mentioned sponsored samples have been fully redeemed, except for the Hada Labo Arbutin Whitening Lotion. Vital Greens Singapore was previously holding a sampling activity over at their Facebook page. And right after I shared the link, I had a few of my page members PM me their mailing address... Oh well, I rectify the issue as soon as I found out. 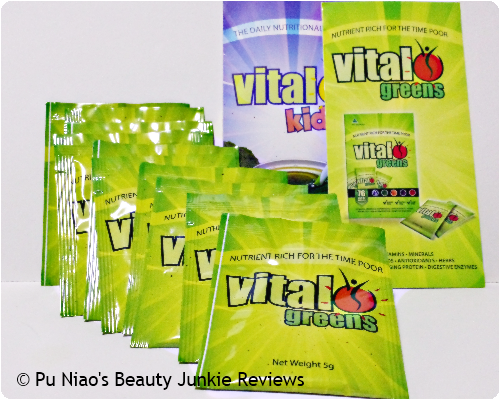 Anyway, I received 10 packs of Vital Greens, each weighing 5g. 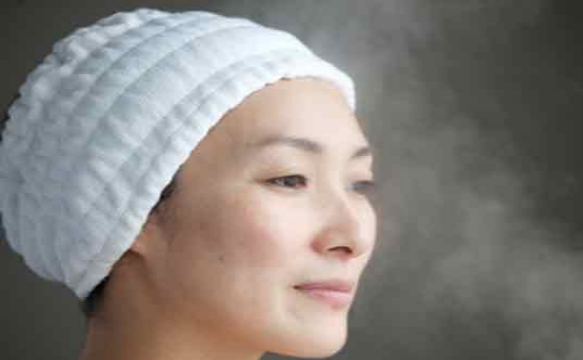 The usage is almost similar to collagen powder, mix it with a drink or sprinkle on your favorite food and nom it up. WHERE TO REDEEM SAMPLE: Sample redemption is over. 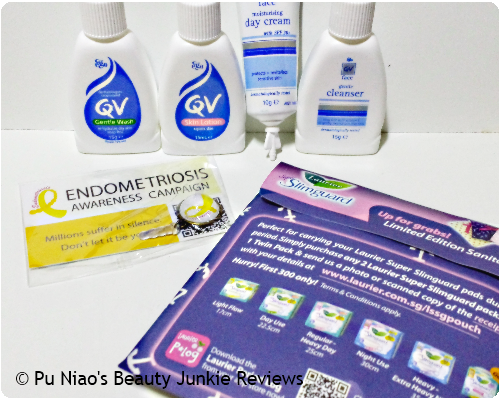 But if you are gung-ho enough to want to wait for the next sampling activity, go over to Vital Greens Singapore Facebook page at https://www.facebook.com/VitalGreensSingapore and Like their page as a fan to be updated and informed of upcoming contests and sampling activity. WHERE TO REDEEM SAMPLE: Contest giveaway is over. 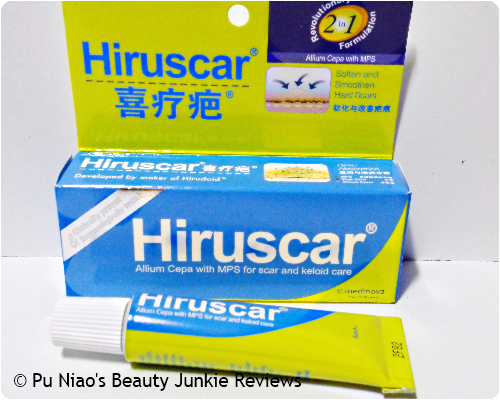 First up is this Hiruscar gel sample, weighing at 7g. Supposedly helps to soften and smoothen hard scars, such as surgery scars, accident scars, burn scars, pimple scars as well as stretch marks. Gonna try it on my current pimple scars that has been forever-in-eruption on my left cheek.. Essential has a new product, can you guess what it is? 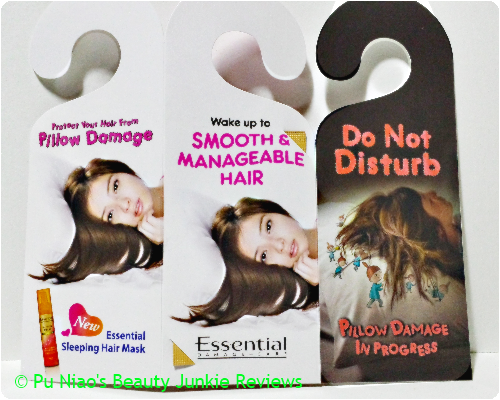 It's called the Essential Sleeping Hair Mask, weighing at 3ml per sample sachet. Can last from a week to 1.5 or 2 weeks in total, since not much is needed for application in the first place. WHERE TO REDEEM SAMPLE: Sample redemption is over. It was pretty much cleared out as soon as the sample went up. If you want someone who's passionate and possibly with a strong libido, look for a guy who writes with heavy pressure strokes of the pen – he's probably the brooding, intense type. If you're looking for a guy with a lighter sense of humour, the start of his letters may be twiddly and wavy, but his letters reach all the way to the baseline (where the line would sit if he was writing on a lined paper). Watch out for vanity in a guy if his t's and d's reach much higher than any of the other letters – if he's really self-worshipping, where does that leaves you, right? Big, wide writing, with big margins between the writing and the edge of the paper, tend to show a guy who's generous and willing to spend. Smaller writing, naturally implies he's more careful with the cash. However, if you're talking about the spacing between the words, narrow spacing could be good because this guy loves warmth and sympathy. Want a sophisticated man? Look out for handwriting that shrinks as he goes along the sentence – but be careful because this guy could also look down on others. If you're avoiding men who are a little too self-centred, look at this capital letters – if they're huge, compared with the other letters, it could show that he's a limelight hog. 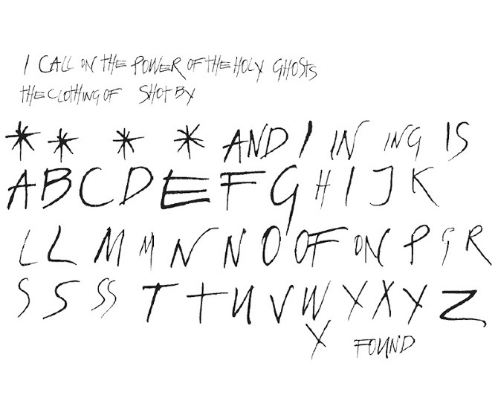 And if his g's, y's, j's, p's and q's all extend far down below the line, he could be a very earthly, sensual guy. Men whose handwriting is a long, connected chain tend to have good memories and concentration, whereas if his writing's all broken up, obviously he's less able to concentrate – which could also mean that he occasionally gets great ideas.